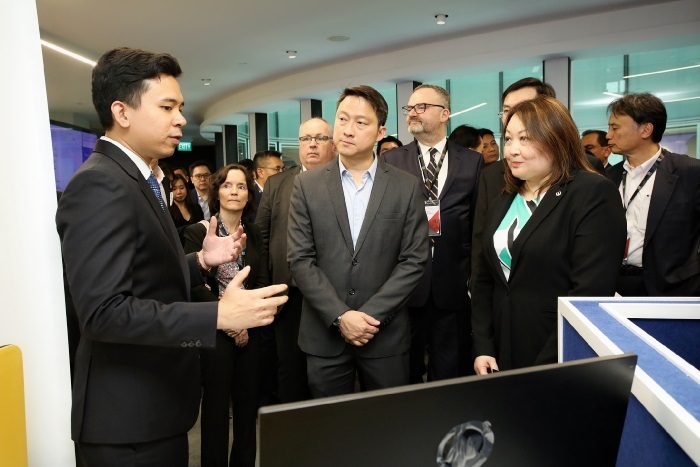 Singapore-based maritime solutions firm CLARITECS is making significant progress in the maritime digitalisation space through collaborations with government and private sector entities, it officially announced today during Singapore Maritime Week. Today, at the MPA1 Maritime Innovation Lab Launch officiated by Dr Lam Pin Min, Senior Minister of State, Ministry of Transport and Ministry of Health, CLARITECS showcased BunkerMaestro, an algorithm-based Software as a Service (SaaS) platform, a Top 3 Winner at the PIER71 Smart Port Challenge 2018. The web-based platform taps on Singapore Maritime Data Hub (SG-MDH) data to assist bunker operators reduce data entry and manual scheduling, increase their fleet utilisation while providing clarity in bunker scheduling to ship agents, shipowners, terminals all involved in the bunker supply chain. 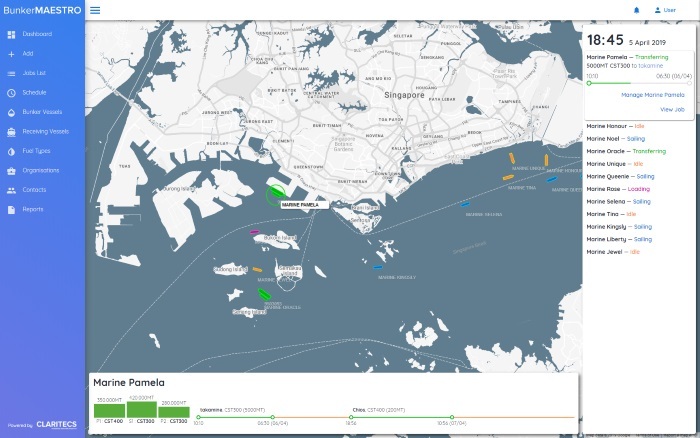 CLARITECS is amongst the first to engage with SG-MDH to access MPA's port and ship-related real-time data – such as vessel information, vessel arrival and departure times and vessel positions. To track vessels further afield, BunkerMaestro will also be tapping on datasets from MarineTraffic, the world's leading AIS-based ship tracking service, to enhance efficiency of bunker deliveries by synchronising the locations of receiving vessels with the position of bunker tankers. On 10 April 2019, CLARITECS will sign a Memorandum of Understanding (MOU) with MarineTraffic, at the Innovation Arena of the biennial Sea Asia Conference and Exhibition event held at the Marina Bay Sands Convention Centre. 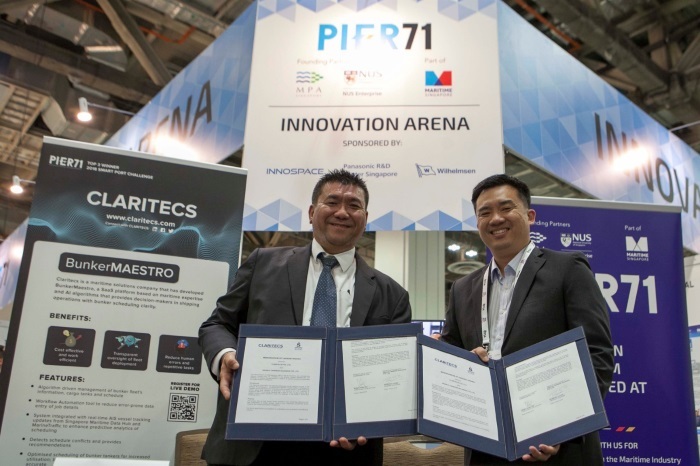 The MOU will establish a spirit of collaboration and the framework of cooperation between CLARITECS and MarineTraffic as a follow-on from the PIER71 Smart Port Challenge accelerator programme. Several Singapore bunker operators are also slated to sign MOUs with CLARITECS at the same ceremony to formalise collaborations to testbed BunkerMaestro alongside their existing bunker scheduling workflow and with a view of potential adoption. The bunker operators are Sinanju Tankers Holdings, Sentek Marine & Trading and Global Energy Trading. Together with two other firms New Maritime and United Maritime who have separately signed Letters of Intent previously with CLARITECS, the group in total, manages about one-third of the current Singapore bunker tanker fleet. It is anticipated that when using BunkerMaestro, these bunker operators will achieve increased work efficiencies of at least 30%, an increase in bunker tanker utilisation rate of at least 15% and a 50% reduction in time spent on communication. “BunkerMaestro has gained much traction and the momentum has now propelled us to ready it for commercial rollout. We firmly believe that BunkerMaestro will add value to Singapore's USD $25 billion bunker industry,” Mr Wong said. “This solution increases work efficiency as it reduces the need for manual, repetitive and time-consuming scheduling. It also reduces the idling buffer time of bunker tankers, allowing its operators to accept more fuel delivery jobs. “We expect a rise in the number of fuel types and blends consumed by the shipping industry from 2020 due to the IMO's global sulphur cap regulation. This will only increase the complexity of scheduling a bunker fleet and BunkerMaestro is well positioned to help bunker operators overcome this and at increased efficiency. “We will also promote the benefits of BunkerMaestro to shipping agents, shipowners, bunker traders and oil terminals. By gathering all stakeholders on one platform, everyone would be able to achieve higher work efficiencies, better operational oversight and streamlined communications throughout the entire bunker supply chain,” he concluded.